The grass and/or lawn that you have in front of your home or business is going to be one of the first things that people see. We offer an array of solutions for you to discover based upon the look you want to achieve as well as the maintenance level that you wish to commit to. Our lawn care professionals focus on proper preparation prior to laying a new lawn or sowing grass seed to ensure that it looks great immediately. Our professional turf laying skills allow for great looking and hardwearing lawns. Should you desire an artificial lawn, we can discuss the benefits to the different designs and types of fake grass. The pile, height, colour, and density can vary dramatically and can look and feel as good as the real thing. 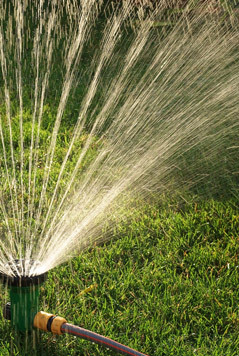 We offer professional installation to make it look as though the grass has been there forever. Whether you would like to explore real grass or fake grass, we are happy to talk to you about the various options for professional preparation, installation, and maintenance. Our experienced landscapers can see to it that you have the grass and lawn that you have always wanted – and you won't have to lift a finger to maintain it if you don’t want to. Call today to set up a free consultation!